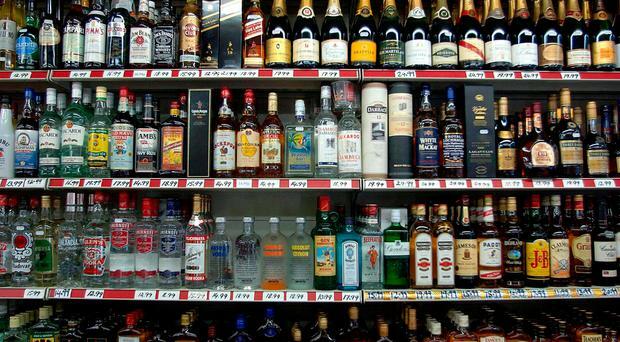 In May Scotland introduced a legal minimum price for alcohol of 50p per unit. That implied a major escalation in the prices of what had previously been some of the cheapest drinks: a £1.99 bottle of cider rose to £5. The objective is to decrease consumption and save lives by using the usual negative relationship between the price of a product and its demand. One estimate is that 400 lives could be saved over the next five years. Studies suggest the overall social and economic cost of alcohol abuse is over £3bn annually in Scotland and up to £1bn here in Northern Ireland. We should give this Scottish policy strong consideration. This is especially because we have hitherto not exploited the potential of devolution to use fiscal levers. Such levers could have two main benefits: first, scope to raise revenues to fund public services in Northern Ireland and, second, the possibility of influencing economic and social behaviour. Policies of so-called 'sin taxes' on alcohol have a very long history. Alexander Hamilton, the first Treasury Secretary of the United States, said that it was a good idea to tax "pernicious luxuries". His liquor tax did provoke some of the Scots-Irish of western Pennsylvannia to rise in the 1794 Whiskey Rebellion. We are not likely to see a revolt in 2018, but critics have argued that the Scottish minimum price policy is "regressive": the impact of the higher price will be felt disproportionately by lower income families and individuals. That may be so but surely the strong likelihood that consumption will fall and lives will be saved is a prize worth having. It might also be said this policy has a touch of the Nanny State: that it is quite paternalistic. However, this is not a ban or prohibition against drink, just an attempt to use price to nudge behaviour. Even small changes in behaviour could yield substantial benefits in terms of lives saved, harm avoided and reduced demand for public spending to repair the damage done by such harm. If the policy is paternalistic perhaps a bit of paternalism is legitimate in cases of addictive behavior. There are similarities to other recent policies or policy proposals - the Sugar Tax and the proposed introduction of a cap on the payout from fixed odd betting terminals. Sometimes people need encouragement to avoid harming themselves. As the Dover-Calais "booze cruises" and the border have illustrated at various times, where excise or price differences open up at a frontier this can lead to opportunistic shopping flows. Whilst some shops in, say, Carlisle and Berwick-on-Tweed may see gains as Scots travel south to buy cheaper drink this may not be a big issue overall in the relatively low population Scottish-English borders. The Scottish example is certainly worth considering. There is, however, a question as to whether the policy in Scotland could have been better designed. The minimum price has as an unintended consequence created a windfall gain to the retailers. It is arguable that a better policy would have been to devolve excise duty to the Scottish government. That would have meant that the higher prices would have led to higher tax revenues which could have been recycled back into funding health care and other public services. As with the introduction of an income tax variation from the UK average, stamp duty and land tax and the consideration of a comprehensive reduction in Air Passenger Duty, this is yet another case of fiscal variation in Scotland which Northern Ireland could certainly learn from. Unfortunately, however, and this is now a repetitive refrain, it will be said that any such policy consideration "would be a matter for ministers which we do not have at this time".